You can relieve the financial burden from those you love. If you also choose to handle the funding of your funeral in advance, we have plans that will assure that your survivors will never have to pay additional funds for the services and merchandise you selected. Pre-planning your own funeral makes sense because you take full control of your future now, while saving your family the difficult decisions and the awkward issues of not knowing exactly what you may have wanted. Pre-planning allows you to talk with your family and lets you share your wishes, eliminating the emotional turmoil and burdensome decisions. 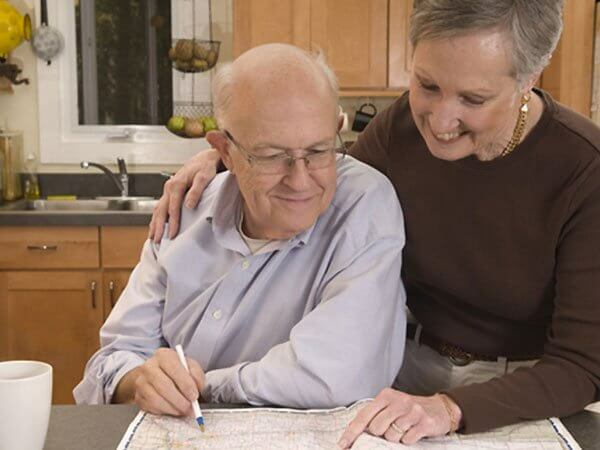 For those uncomfortable in a funeral home setting we also provide in home calls to pre-plan. When preplanning your or your loved one’s funeral you may also want to consider pre-paying for the funeral. Pre-paying allows you to pay for the funeral at today’s price. Your money is placed in a secured individual account that earns interest guaranteed to keep up with inflation. You can pre-pay for the funeral all at once or choose to make payments. The account your money is placed in meets Medicaid requirements and has a 30 day money back refund. When you pre-plan and pre-pay for your funeral you assure definite arrangements and no other financial decisions need to be made. We can also assist you if you already own a life insurance policy to pay for your funeral and are trying to get Medicaid. You may need to assign the ownership of the policy over to the funeral home to meet their requirements. We would enjoy talking to you about the different options available so you can make an informed decision that is right for you and your family. There is no cost or obligation for our services. But most of all there will be no pressure for you to make any decisions until you and your families are completely satisfied that all of your questions and concerns have been answered.